This topic contains 1 reply, has 2 voices, and was last updated by BluTak 2 months, 3 weeks ago. One of the reasons for the inspection was, that it was almost impossible to hoist the mainsail all the way to the top. It always sort of jammed when there were approx. 20cm left, and I had to sort of lower and raise the main, several times. Brute force never worked. The sail jammed before reaching the top. 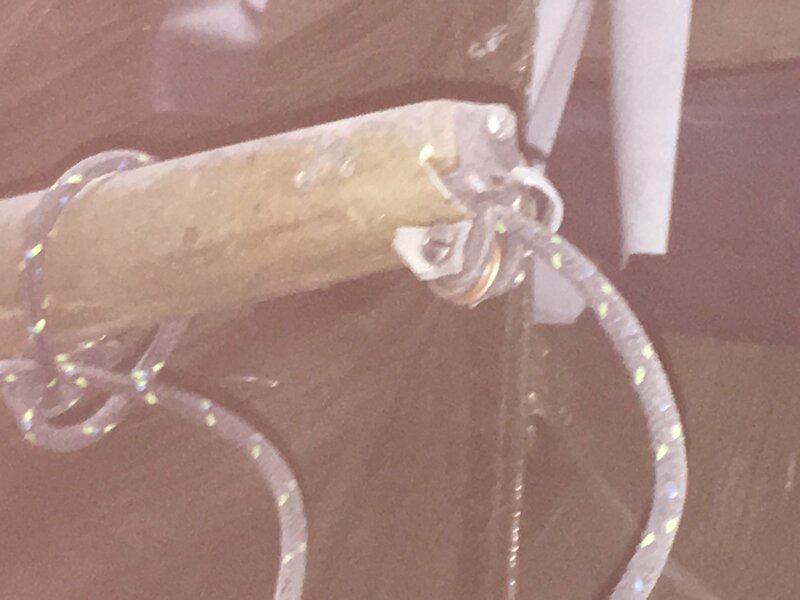 Anyways after taking the mast down and carrying out a more throughout inspection, I did notice the masthead sheave didn’t roll freely but was sort of jammed in place, because the previous owner did a bad repair, not fitting a new correct masthead fitting. But instead fixing metal bars to attach the sheave. So my question here is: does anyone know where I can get a complete replacement masthead fitting for the original old Proctor mast? This topic was modified 2 months, 3 weeks ago by Jesper Skov.